Introducing… Navisworks 2016 AND BIM 360 Glue! Navisworks 2016 has taken a major step forward with BIM collaboration in the cloud. Now with BIM 360 Glue model and data interoperability, Navisworks 2016 provides project teams with a more complete, connected solution to BIM project coordination and collaboration. This connected solution combines the familiar, powerful features of Navisworks with the easy, accessible, and collaborative capabilities of BIM 360 Glue. Several years ago, we heard your requests to connect to the cloud to better support project workflows, and to connect with the entire project team to access the most recent project models and data. BIM Workflows Connected with Glue and How to use BIM 360 and Navisworks on your projects, outlined how BIM 360 Glue and Navisworks integrated to support your project and team workflows, including: 1) How Navisworks users share coordinated NWD models with the team using BIM 360 Glue; and 2) How BIM/VDC specialists access the latest models from the team in BIM 360 Glue to perform advanced analysis with Navisworks. With the 2016 release, we are introducing the next phase and a completely new approach to Navisworks-BIM 360 Glue interoperability. BIM 360 Glue users with Navisworks 2016 can connect to the BIM 360 cloud, work directly with BIM 360 Glue models and merged models, and share data with other project users. Here is how it works. Within Navisworks, you can open, append, and align BIM 360 Glue project models and then save as a merged model in BIM 360 Glue. This is not an “upload” or “publish” action. Instead, as soon as the merged model is saved in Navisworks, it is available immediately in the cloud for project team review, collaboration, and coordination workflows using BIM 360 Glue desktop, BIM 360 Glue web, and BIM 360 Glue mobile. You can also open models from BIM 360 Glue and use advanced analysis tools, such as the enhanced quantification features, in Navisworks 2016. Once you save your work, data will be available for other Navisworks 2016--connected BIM 360 Glue users. Think of the new process akin to using Evernote: Working on a document in the Evernote desktop client syncs saved changes automatically to the Evernote.com web version of the document---and vice-versa. As a user, the process happens seamlessly, and the distinction between the cloud and the desktop is really a non-issue. Just as with the Evernote example, Navisworks Manage 2016 and BIM 360 Glue model interoperability happens seamlessly with just a click of the mouse. Navisworks 2016 and BIM 360 Glue now both connect to the same project data as part of an integrated desktop, cloud and mobile solution. However the two products have distinct strengths that satisfy the needs of different participants on your projects. BIM 360 Glue = Cloud-based coordination and collaboration solution that connects the entire project team – internal and external – and streamlines project review and coordination workflows. Navisworks = A feature rich BIM project review toolset for the power user to help perform advanced clash detection, quantification, 4D/5D analysis and construction simulation. As a BIM/VDC manager working within a collaborative project environment, Navisworks Manage is likely still your go-to product for advanced analysis, such as performing advanced clash detection, integrating 2D and 3D takeoff data for bills of quantity, and simulation of construction activity. BIM 360 Glue transforms your traditional coordination workflows by providing easy-to-use features that empower the extended team: designers, subcontractors and fabricators coordinate and collaborate on a continual basis. This leads to accelerated coordination cycles and more productive weekly/bi-weekly coordination meetings. 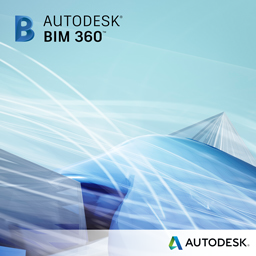 BIM 360 Glue subscriptions include access to Autodesk® Navisworks® Manage 2016 (as well as Autodesk Point Layout). This new functionality in both Navisworks and BIM 360 Glue is available now, so visit the resources below to get started. How do I access the new Navisworks client as part of my BIM 360 Glue subscription? Get it here. Interact and correspond with other BIM 360 Glue users and our support team here. Visit our Autodesk Help Center for loads of articles and helpful information. New to BIM 360 Glue and interested in a customized, self-paced demo? Click here. No, at this time BIM 360 Glue does not support animation and/or simulation found in Navisworks. will you be able to push the TimeLiner animation/simulation to 360? And then lets say send the link to someone to login and play/view the simulation? Once you log into your BIM 360 account from within Navisworks and save a model, it automatically saves to Glue in the Cloud. (Unless you select “save-as” and save the Navisworks model locally). It seems as if the ability to push a new model from Navis to Glue has been taken away in this effort to upgrade the compatibility of Glue and Navis. Will this be brought back? If the markups created on glue were visible in manage and if these markups were editable it would be a super package. I've started using this. It's a major step. Making this an amazing application would be the ability to view glue markups similar to glue and also edit and add more if necessary.